Biological factors can be experienced in many occupations. Here, we will focus on diseases caused by biological factors among workers in agriculture and health care. Agricultural work may result in exposure to a whole range of biological factors which may cause several diseases. We will tell you about some of the most important ones. Farmer’s lung is an expression for a type of hypersensitivity pneumonitis, an immunologically mediated inflammatory disease of the lung involving the terminal airways. The condition is associated with intense or repeated exposure to inhaled biologic dusts, the most common source being mouldy hay, grain or silage. The symptoms may be confused with a viral or bacterial infection. The course is characterized by the abrupt onset (four to six hours following exposure) of fever, chills, malaise, nausea, cough, chest tightness, and dyspnoea without wheezing. Removal from exposure to the inciting antigen usually results in subsiding of symptoms within 12 hours to several days and complete resolution within several weeks. 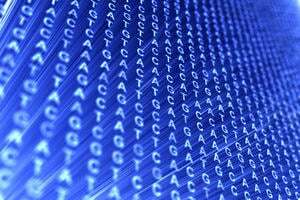 The disease may recur with re-exposure to the antigen, and the condition may become chronic. Hypersensitivity pneumonitis may also occur among farmers in production of for instance tea, coffee, wine, potato and tobacco. The disease is then named accordingly, such as tea grower’s lung, coffee worker’s lung, wine maker’s lung, potato riddler’s lung and tobacco grower’s lung. Over 300 etiologies of hypersensitivity pneumonitis have been reported involving exposure to different antigens in different occupations. Organic dust toxic syndrome (ODTS) is febrile, toxic reaction to high exposure levels of inhaled mould dusts occurring on a single day. This condition is a non-immunologic reaction that occurs 30 to 50 times more commonly than hypersensitivity pneumonitis in farmers. Farmers are also at risk of developing rhinitis and asthma, both due to allergic and non-allergic mechanisms, following exposure to biological dust. We will tell you more about asthma during the fourth week of this course. In many cases an occupational asthma may be preceded by a work-related rhinitis a few years earlier. Clostridium tetani is a bacterium, which grows in the absence of oxygen and can be found in many animals and also in the soil. The bacteria produce a toxin, which causes painful muscular cramps that may be lethal. 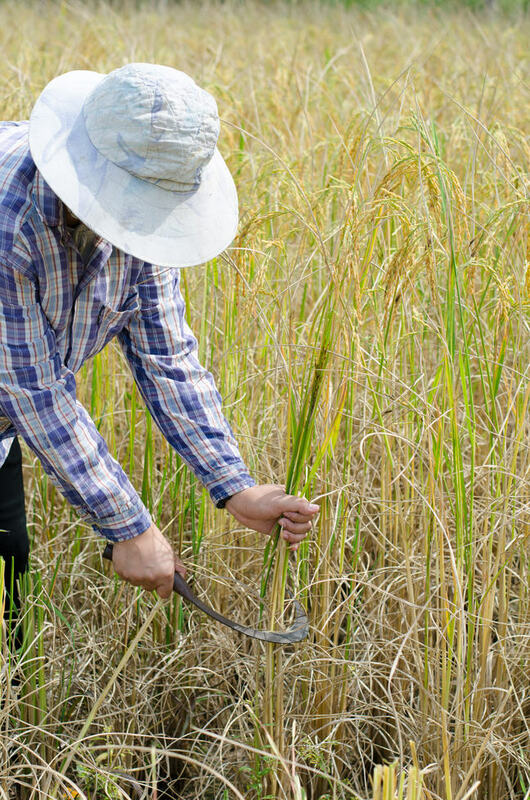 The use of gloves may protect farmers with open wounds or eczematous skin from being infected. An effective and safe vaccination exists. It is recommended for workers who work with soil and animals. In contrast to developed nations, where tetanus is rare, tetanus remains endemic in many developing countries, and the incidence often increases following natural disasters such as earthquakes and tsunamis. Approximately one million cases of tetanus are estimated to occur worldwide each year, with 300,000 to 500,000 deaths. 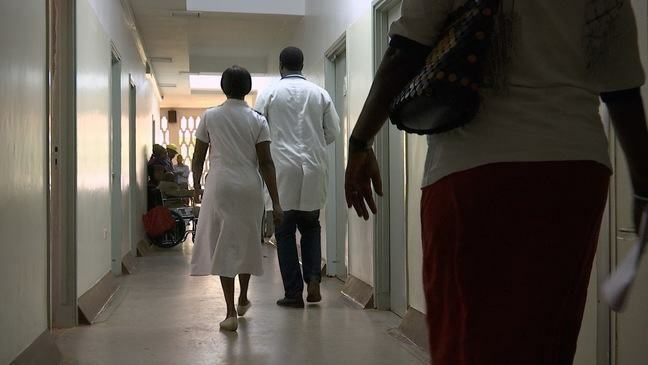 Among patients admitted for neurologic conditions to one hospital in Nigeria, for example, tetanus was the second most common cause (14 percent), after stroke. Anthrax, which is caused by the bacteria Bacillus anthracis, is primarily a disease of plant eaters, such as cows and sheep. 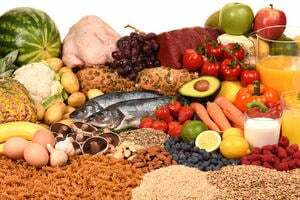 It used to be a major cause of fatal disease in livestock, as well as in humans, and is still a problem in many parts of the world, including Asia, southern Europe, sub-Saharan Africa and parts of Australia. The anthrax bacteria can survive in the environment by forming spores. Humans can contract the disease directly or indirectly from infected animals, due to exposure to infected or contaminated animal products, or if they come in contact with spores. Three forms exist. The most common form, which creates dark sores on the skin, is contracted when a person with a break in their skin, comes into direct contact with anthrax spores. Gastrointestinal anthrax is caught from eating meat from an infected animal. The most severe form, the pulmonary anthrax, is caused by inhalation of a large number of spores. Inhalation anthrax cannot be transmitted from person to person, but there is a small risk of direct infection from the lesions from an infected human for the cutaneous form. Control of infection in livestock is the key to reduced incidence, and infected animals have to be burned. A vaccine against anthrax exists, but is not approved for widespread use because it has never been comprehensively tested in human trials. WHO provides information on Anthrax. Health care workers are exposed to a wide range of biological factors, mainly infectious ones. We will describe some of the most common risks for infectious diseases in health workers. 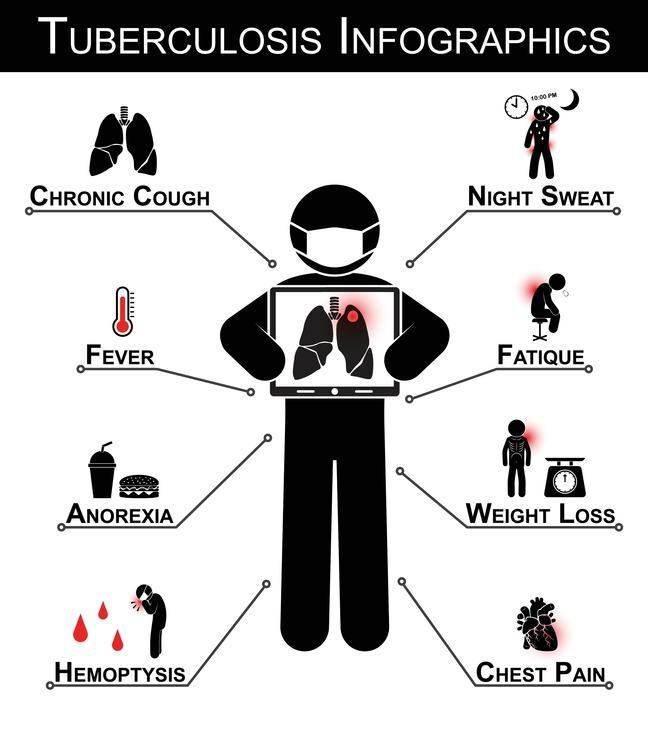 The lungs are the major site for primary infection with Mycobacterium Tuberculosis, which is the cause of tuberculosis. Health care workers have approximately 8-times higher risk of acquiring tuberculosis than the general population (WHO). The bacteria are spread by airborne transmission, which is especially challenging, and requires specific measures to be undertaken. All health care facilities should provide tissues and non-touch waste containers for use by workers, patients and visitors. In addition, a surgical mask should be provided to all patients and visitors suspected to be infected. The surgical mask will hinder the tubercle bacteria-containing droplets spreading from the infected person. Surgical masks can be used for a maximum of one day before being disposed. All health personnel involved in the management and care of tuberculosis patients should be provided with a respiratory protection providing a considerably higher protection level than a surgical mask. It is recommended to use a P3 respirator when caring for a tuberculous patient. Ventilation in buildings and rooms can also be adapted to prevent the spread of the contagious agent. The Human Immunodeficiency Virus (HIV) attacks the immune system and weakens the infected patients’ defence systems against infections and some types of cancer. Globally, close to 40 million people was living with HIV at the end of 2014, with 2.0 million people becoming newly infected during 2014. Sub-Saharan Africa is the most affected region, and this region also accounts for nearly 70% of the global total of new HIV infections. Both HIV and hepatitis B and C viruses are transmitted from infected individuals by direct mucosal contact with blood and body fluids, droplets or contaminated objects, including needles, syringes and surgical instruments. The infections can also be transmitted during dental procedures. The risk of developing hepatitis B, hepatitis C and HIV infection following occupational exposure varies. For HIV it is estimated to be 0.3% after percutaneous accidents (0.09% following mucous membrane exposure and <0.1% for exposure on non-intact skin). For hepatitis B virus infection, the risk varies a great deal, from 1-6% and up to 30 %, and for hepatitis C it is estimated to be 1.8%. The Ebola virus causes an acute, serious illness, which is often fatal if untreated. In humans Ebola spreads via direct contact (through broken skin or mucous membranes) with the blood, secretions, organs or other bodily fluids of infected people, and with surfaces and materials (e.g. bedding, clothing) contaminated with these fluids. Humans remain infectious as long as their blood contains the virus. Health care personnel have frequently been infected while treating patients with Ebola, as mentioned in the first week of this course. Health workers are between 21 and 32 times more likely to be infected with Ebola compared to in the general adult population. Among infected health workers for whom final outcome is known, two-thirds of those infected died. 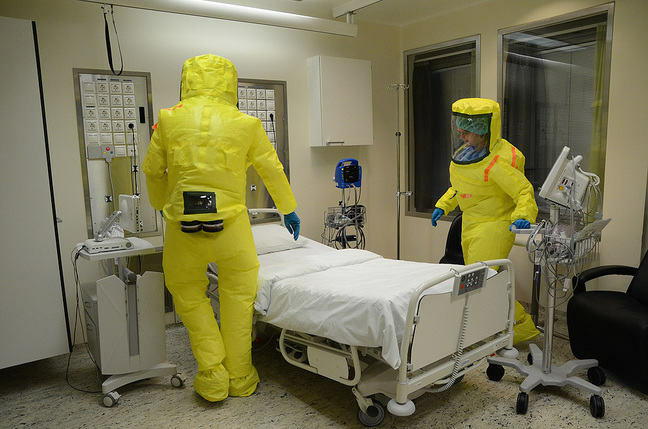 To avoid spreading of Ebola, strict precautions must be taken, such as using specialized clothing, gloves and respirators as shown in the photo. ©Oslo University Hospital, Anders Bayer. 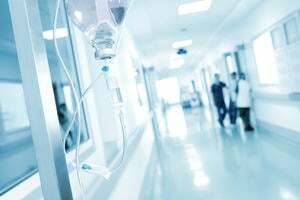 MRSA (methicillin-resistant Staphylococcus aureus) poses a special challenge in health care services as health care workers may be colonized by the bacteria without having any symptoms of disease. Contact precautions during clinical encounters with patients who have MRSA infection include use of gowns, gloves, and surgical masks to reduce the risk for colonization among healthcare workers. The table below presents examples of diseases known to have been caused by different biological factors, as well as the occupations or industries at risk.